Here’s yet another wonderful author who’s agreed to come onto the blog with me! Brave lady…help me welcome Jordan K. Rose. After trying her hand at many, many things- from crafting and art classes to cooking and sewing classes to running her own handbag business, Jordan finally figured out how to channel her creativity. With an active imagination and a little encouragement from her husband she sat down and began to write, each night clicking away at the keys with her black Labrador, Dino curled up under the desk. A few short years later she’s entered the publishing arena with no plans to ever turn back. 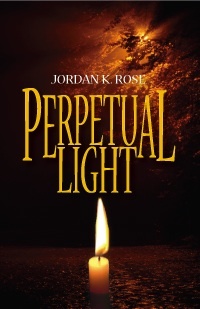 Her first book, Perpetual Light, is available on Amazon’s Kindle from Crescent Moon Press. Fate is cruel. Especially when the one you’ve sworn to love for all eternity, the very soul who changed your destiny is the last person you should trust. After more than three hundred years of running, Lucia Dicomano must make a choice. I honestly don’t remember. I can’t for the life of me think of the answer to this. I loved Nancy Drew when I was a kid and then Susan Barton as a teenager. As an adult I love Tolkien because of his fantastic world-building and Boccacio’s Decameron because I love short stories and ten shorts each day for ten days each with a theme is totally up my ally! This was actually a surprise. I hadn’t written anything before Perpetual Light. I had tried crafting and sewing and cooking and a number of other creative outlets, but nothing really stuck. Then this idea came to me, and I sat down and wrote. It’s been a wonderful and relatively short journey. It’s only been about three years since I first sat down to write. Each step has brought challenges, but I’ve pushed along and kept my eye on the goal. I like to write where I can see outside. Our house abuts a wooded area and my office faces that part of the yard. I think I’m most creative when I’m able to look out into the woods. In the warm weather I sit outside on the deck and write, which only works as long as no one is talking to me. I am easily distracted so music, people moving about and talking all pull me out of my story. I really need a quiet area with a beautiful view to write! the clown announces to the priest, “Oh! Thank God you’re here. Forgive me, Father, for I have sinned.” He yanks the priest toward him. The priest nods and leans in, focusing on the clown’s confession. They huddle in the corner and the clown begins pulling out his handkerchief, his whispered confession rushing from his lips. The priest frowns and nods again, uses the clowns handkerchief to wipe his brow and sighs. The clown continues, now marching in place and motioning to the ceiling. The priest’s eyes widen and he shakes his head. The clown honks his horn, then shows the priest his water-squirting flower, shrugs and continues whispering. The priest leans against the wall, holding the railing for support. The clown props him up and shakes a finger at him. The writer giggles while scribbling madly on her pad. Cowboy or Marine- so this is the hardest one. I love them both! Home cooked meals or Go out to a restaurant (I’m both on this one, too. I love to go out, but on cold days I love to stay home and have a nice home cooked meal. No problem, Jordan, happy to have you drop by! Let’s give a warm Maritime welcome to Wendy Soliman! Here’s Wendy’s latest release for all you fellow romance fans! 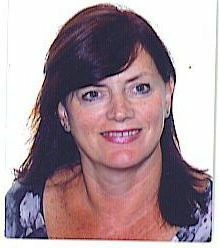 Wendy Soliman is a British author, now dividing her time between Andorra and the west coast of Florida. She lives with her husband Andre and a recued dog of indeterminate pedigree. She writes Regency and contemporary romance and a series of marine crime mysteries. 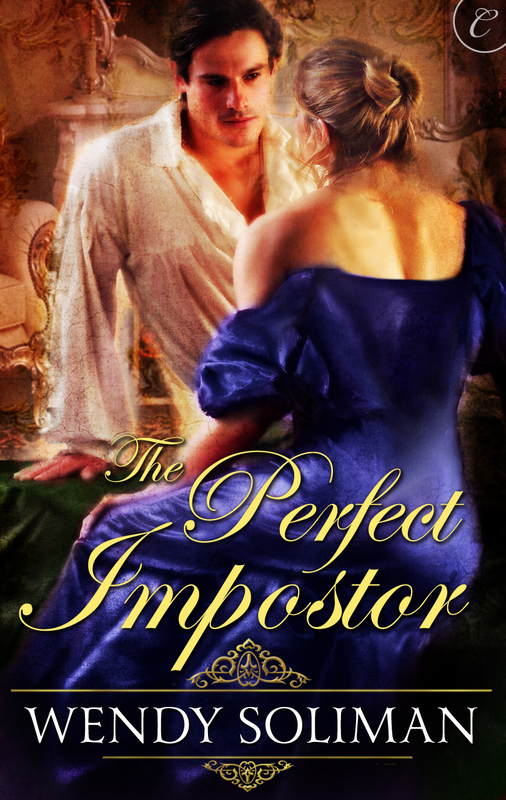 Her latest Regency, The Perfect Impostor, is available from Carina Press and all on-line outlets now. Daphne duMaurier, (still is! ), for her wonderful ability to combine old and new. It wasn’t Rebecca that enthralled, (always thought the second Mrs. deWinter was a bit of a drip), but Frenchman’s Creek. That gorgeous French pirate bucking the trend and running rings round the English. And the way the heroine sacrificed so much to save him, even though it meant they could never be together. Powerful stuff that endures! Well, I wrote my first book when I was fifteen, so I guess that’s a clue. My second was born when I was in my twenties and, years later, the plot formed the substance of one of my first published books. Thank you Wendy! I loved having you here! 1. pick 6 sentences from a WIP, a published book or something of YOURS. You need a place to rest, somewhere that they cannot find you, or that they dare not attack in broad daylight. Okay, creepiness aside, the voice was making a whole lot of sense. I needed to get hidden. I had a few ideas, mulled them over while I used the shower and wrapped myself tightly in the towels that had been hanging on the wall. Mostly dry and much cleaner, I still didn’t know what to do, where to go. Fear twisted and churned and gurgled in my gut. Tuesday Talk with Cathryn Cade! Samhain Publishing has so many wonderful authors. Please help me welcome another one, Cathryn Cade! Don’t forget to comment for a chance to win her latest! A native of Montana, I live in the beautiful Pacific Northwest with my husband, two tall, handsome sons and a golden retriever named Buddy. I write red hot romance with danger and laughter in the mix, for Samhain Publishing. Definitely Jayne Ann Krentz, writing as Amanda Quick. I was in my first year of teaching as a middle school librarian. I did not enjoy that job, and those dashing tales of historical romance got me through some hard times. No matter the genre, she writes with such humour and rich emotion that I was comforted by existing for a time in her story world. I’ve been writing stories since I was old enough to hold a pencil. The early attempts were short, full of dramatic emotion and very little plot, lol. I started writing romance when I was home full-time with two little boys. I got so mad at the ending of a romance novel that I threw it across the room. Fortunately it was a paperback, so no windows were broken. I then sat down and wrote the beginning and a passionate love scene for a story of my own. I soon lost interest and went on to another story, new characters. I spent the next several years doing this, until I went to a book signing at B&N, and met a ‘real’ romance writer. I got goose bumps as she spoke, because she had also begun her romance writing journey as a homemaker with small children. At that moment I realized I, too, could write a real book and get published. Soon after that my husband’s job moved us to Portland Oregon, and I was able to join the RWA chapter, Rose City Romance Writers. That’s when I truly began to learn how to write a marketable romance and how to get my stories in front of people who could publish them. When I’m in the throes of beginning a book, I live with one foot in that world. I may get up from the dinner table, or out of bed to note down an character trait or a plot point before it can escape. My husband is so patient with me. I also carry a notebook or my baby Acer when we go out on car trips, or out in our boat. He fishes, I plot. This last year, a new series was born. My husband and I have traveled to Hawaii several times, and I fall more love with the islands with each visit. Being a writer and a romantic at heart, I spent some time last year on the long and winding road down from Hawaii Volcanoes National Park, doing what I do best — daydreaming. What if I were a young, single tourist? And what if I met a handsome Hawaiian … and you know how daydreaming goes. There’s a little bit of me in every one of my heroines. And a bit of my husband in every one of my heroes. That was the beginning of Hawaiian Heroes I; Walking in Fire. Writing Melia and David’s story was more fun than I’ve had since … well, since we were actually in Hawaii. I spent a good part of this last fall and early winter in my office with beautiful Hawaiian music streaming on Pandora Internet Radio as I keyboarded, transporting myself away from cold rain to a tropical paradise full of intrigue, danger and hot, hot sensual romance. My characters always seem to fall into bed and then into love, lol. Here’s a quick blurb, so you can meet Melia and ‘Malu’. Born to defend his people, he will sacrifice everything—for her. Nawea Bay, a remote Hawaiian paradise, is just the haven Melia Carson needs to escape the chill of heartache. Instead, she finds herself swept up in a tropical heat wave, fueled by her unexpected attraction to a handsome native she meets on a snorkel tour. He’s big, powerful, hot enough to melt her defenses—and he’s not all he seems. How else could he survive an injury that should have killed him…and why does she dream of him garbed in ancient native dress and wreathed in flames? David “Malu” Ho’omalu is on the Big Island to find and destroy a cache of dangerous designer drugs before they can be sold to his people. Fending off amorous female tourists is part of the job, but one look in Melia’s blue eyes, and his instincts scream that she is his. As Melia surrenders to the desire burning between them, she discovers more than a fiery heritage that defies modern logic. She discovers a man who would descend into the molten depths of the volcano to protect his island. And her…if she can find the strength to trust her heart to him. 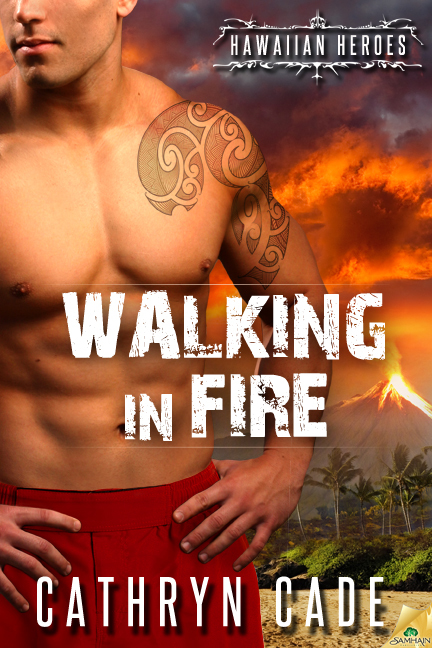 Hot, hot Hawaiian hero with volcanic passion on his mind. Better pack a heat-proof bikini for this island paradise. And I should add, you may have an irresistable desire for a mai-tai! Thanks so much for stopping by. Leave a comment and I’ll enter you in a drawing to win a free copy of the ebook, to be awarded April 10. April Fool’s with Cynthia Woolf! I’m so excited to have Cynthia Woolf here today! Here’s a little bit of background, in case you didn’t know. Cynthia Woolf writes sci-fi romance and historical western romance. 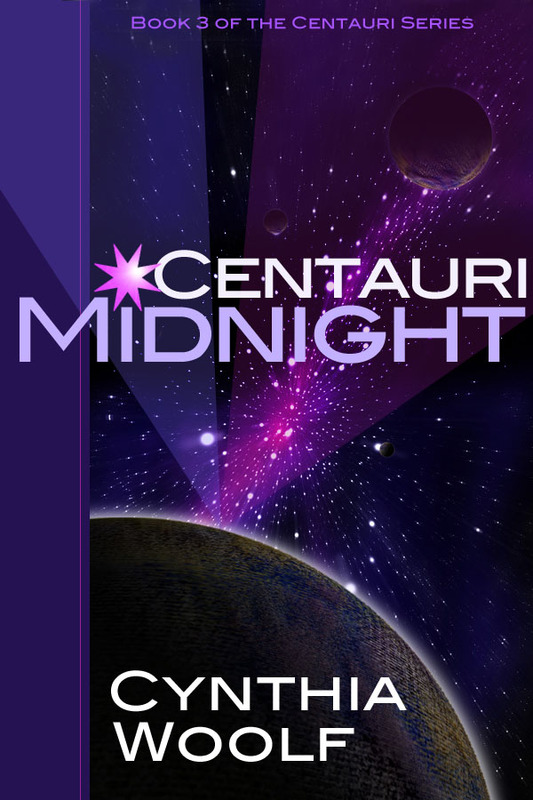 Her books include the sci-fi Centauri series, CENTAURI DAWN, CENTAURI TWILIGHT, and CENTAURI MIDNIGHT and TAME A WILD HEART. She has a second historical coming out in April titled TAME THE WILD WIND. She lives in Colorado in a small town north of Denver with her husband of many, many years, Jim. I think it was Victoria Holt. I couldn’t get enough of her growing up. My mother was a librarian and I always got the books as soon as the library had them. I wrote my first story when I was about ten. It was about a little boy that I had a crush on. I still remember his name. David Williams. He and his family moved to North Carolina and I never saw him again. It’s been a long journey for me. I didn’t know I wanted to be a writer. I didn’t start writing for publication until 1990 and didn’t publish until 2011, so yeah, it’s been a long journey. I didn’t always know that I would be a writer. For most of my life I was a tax accountant. It is a higher paying position than that of writer. I don’t have any writer quirks. I don’t care what I wear, though I do get more done if I get dressed and don’t stay in my pj’s all day. For some reason, being in my pj’s makes me lazy. 4. Finish this joke: A clown, a priest and a writer all get onto an elevator…the clown tells a joke, the priest says a prayer and the writer makes notes for his next book.